I haven’t yet decided whether to more proactively engage the growing numbers of people who use Google as medium or subject for their artmaking, or to forge ahead alone, buoyed up by the certainty of my own unequaled, Googly aesthetic and conceptual brilliance. But then Man Bartlett comes up with a sharp, funny project that turns out to relate directly to my lingering anxiety over what I think of, what I make, what I try to get out there, and how well [or not] I do it. 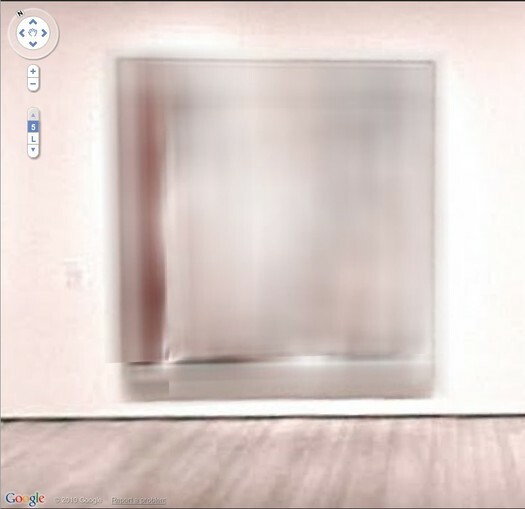 So last year–a year ago today, in fact–my immediate reaction to the launch of the Google Art Project was to zoom in on the blurred out paintings that MoMA hadn’t gotten copyright clearance for–including les Demoiselles d’Avignon and several other iconic Picassos–and to suggest they must now be painted as Google had–there’s no other word–overpainted them. And then last month, I see that an artist named Phil Thompson had sent screengrabs of the blurred paintings to one of those Chinese painting factories, and has now unveiled the work as his Copyrights project. Which is fine, if not at all how it should be done I’d do it. Which prompted Man to take a screenshot of my blog post, pixel-blur everything but the blurred Google Art Project image, and order a print-on-canvas of it. AND a Chinese painting mill cover version. All of which are for sale, and which are hilarious. Though I will let him reveal the Chinese copy in his own good time. It really is awesome.